Your body goes through a lot of changes and physical stress when going through labour: tense muscles, bowel movements are difficult because you can’t push, back pain, irregular sleep and much more. Even when we are not going through labour or a healing process, we are all constantly dealing with stress, sore muscles, injuries, anxiety and sleepless nights. Lastly, Natural Clams Magnesium is also safe for your kids. Sometimes parents come in looking for a solution for their kids constipation. Sometimes kids hold in their bowel movement because they simply don’t like going to the bathroom because their stool has been too hard in the past and has hurt. This is a natural way to help soften the stool. The other benefit in using Natural Calms Magnesium for kids is it is excellent for the brain! Fish oil is always recommended for ADHD, but so is magnesium! 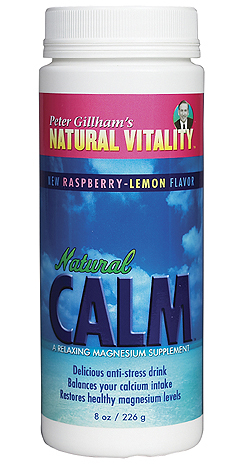 The Natural Calms Magnesium is the way to go since it is in powder form, mixes instantly in water and tastes great! It is nice to know that there are natural solutions to help you with these kinds of issues and one of the best is Natural Calms Magnesium Citrate. “Calcium and magnesium are two different sides of a coin. Calcium excites nerves while magnesium calms them down. Calcium makes muscles contract. Magnesium is necessary for muscles to relax. Calcium is needed for blood clotting but magnesium keeps the blood flowing freely. It is vital to keep these minerals in balance. Too little magnesium to balance calcium can be both uncomfortable and unhealthy. To ward off the negative effects of a prolonged period of stress or an overreaction to stress, calcium needs to be balanced with adequate amounts of magnesium. Going through a stressful period without sufficient magnesium can set up a deficit which, if not corrected, can linger, causing more stress and further health problems. Today we have diets dangerously low in magnesium. Factor in the recent addition of nutritional calcium via supplements and food fortifications meant to stave off osteoporosis, and many of us are getting inadequate magnesium plus too much calcium. Magnesium has an important role in essentially every life function. It helps maintain normal muscle and nerve activity, keeps heart rhythm steady, supports a healthy immune system and keeps bones strong. This is just a quick post today! Hope you enjoyed it. As always thank you for reading and if you have any questions find an Alive Health Centre, Supplements Plus or Morning Sun location near you! You can also call us toll free at 1866-499-9546.